HiBeam flashlight technology with 100,000+ hours of LED life. 3 ultra-bright LED lights in Sandwich Visor and 1 LED light under brim for maximum distance and focused illumination up to 30 feet. Replaceable battery lasting up to 25 hours. Waterproof switch & electronics. 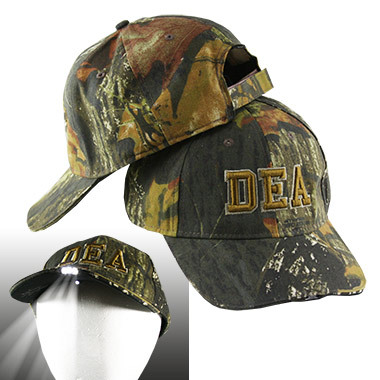 3-D embroidery on front of cap with adjustable Velcro back.